DBA were appointed as water management consultants for this flagship residential project in 2003 and have been providing our services since then ranging from master-planning feasibility through to detailed design and site supervision and monitoring. The development site covers an area of some 40ha and is encompassed within the drainage catchment of the adjacent Bishop Loch SSSI which is a highly sensitive receiving water and ecological environment. 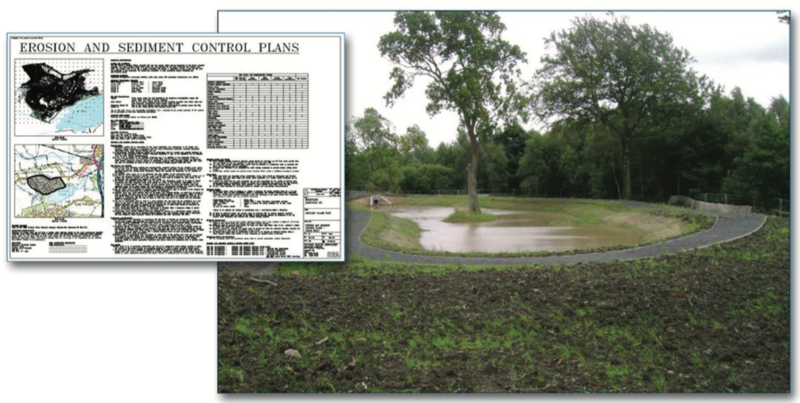 DBA provided a full water management consultancy service for the development including preparation of Drainage Strategy and Flood Risk Assessment Reports, detailed SUDS design and legislative licensing, hydraulic modelling, construction phase water quality testing and construction phase erosion and sediment control plans. Given the sensitive nature of the receiving water environment the surface water discharges from the site were the first in Scotland that required formal licensing under The Water Environment (Controlled Activities) Regulations 2005.